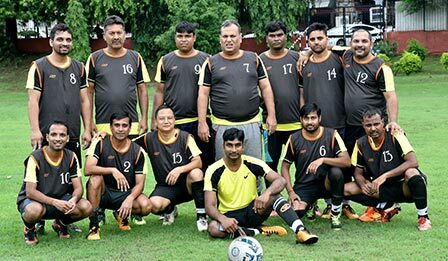 Team TCIL won the first match played against Iron Making under Inter-Divisional Football at Gopal Maidan on August 20, 2018. Iron making team was the champion team of Inter Divisional Football 2017. TCIL celebrated the Nation's 72nd Independence Day with patriotic fervour on August 15, 2018. The celebrations began with Mr R N Murthy, Managing Director, TCIL hoisting the tricolor. A ceremonial march past was followed which was presented by the security personnel. 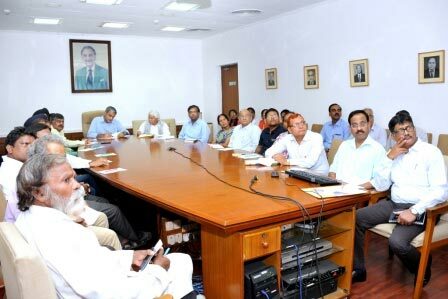 In his address, Mr Murthy extended his warm wishes to those present. He also felicitated meritorious Affirmative Action students from community schools at Tinplate area. 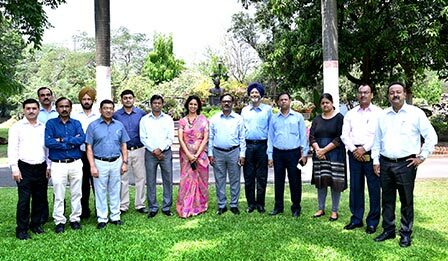 TCIL organised a host of events to mark the 114th Birth Anniversary of Bharat Ratna JRD Tata on July 29, 2018. Officers and employees offered rich tributes to the great visionary. 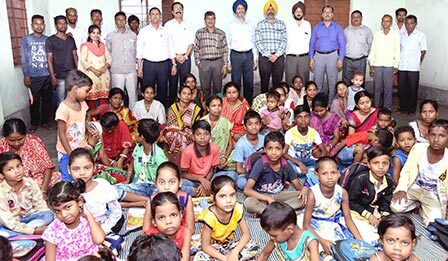 The CSR Department of TCIL hosted several events to engage school students at the Community Development Centre. The guests of the function highlighted the contribution of JRD Tata who was a great visionary and dynamic personality. Children participated in essay writing, sit and draw, quiz and debate contests. A total of 80 students took part in different events. The Tinplate Company of India Limited (TCIL) launched PAXEL, India's first branded tin-can, through its first Service and Solution Partner (SSP), Yash Packaging, located at Kandla, Gujarat. The brand was launched by Mr R N Murthy, Managing Director of TCIL. Tinplate packaging has been a timetested, robust packaging alternate worldwide, known for its safety, durability, and most importantly, its eco-friendliness. The brand PAXEL is aimed at strengthening these core values along with greater assurance of tin-can quality, safety, hygiene, on-time delivery, thereby, enhancing customer experience and confidence on Company's products and services. Each PAXEL can is produced through a safe and contamination-free production process and finally factory-fitted with a branded airtight spout cap, to keep the can clean and ready to be filled. A unique identification number and QR code printed on each can, helps track quality at each stage of production. 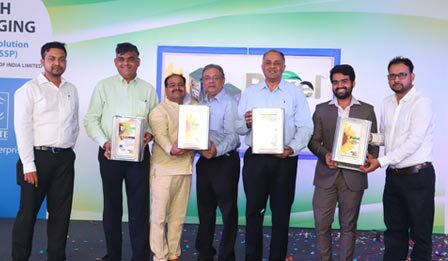 The launch of PAXEL at Kandla, marks a major milestone for TCIL, as the place is one of India's largest consumption hubs of edible oil cans, comprising several brand owners and can-fabricators. Tinplate Hospital has received continued Certification of Quality Management System. SGS, the world's leading Inspection, Verification, Testing and Certification Company conducted transition and surveillance audit of QMS (ISO 9001:2015) of Tinplate Hospital (TPH). British Standards Institution (BSI) has recommended TCIL for Continued Recertification of ISO 27001:2013 "Information Security Management of TCIL". The audit for ISO 27001:2013 was conducted from July 19 to 20, 2018. 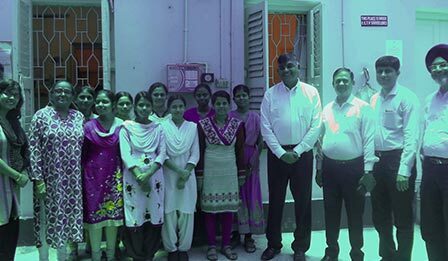 Mr R N Murthy, Managing Director, TCIL visited Society for Indian Children's Welfare (SICW), Kolkata on July 19, 2018 and interacted with candidates sponsored by the Company and motivated them to do well in future. TCIL has been hailing SICW by supporting its under - privileged candidates studying GNM (General Nursing and Midwifery) course at different Govt. Nursing Traning Centres. This course will enable these girls to get better employment opportunity in Healthcare Sectors. The candidates expressed their heartfelt gratitude to TCIL for extending the support, which is going to change their lives forever. 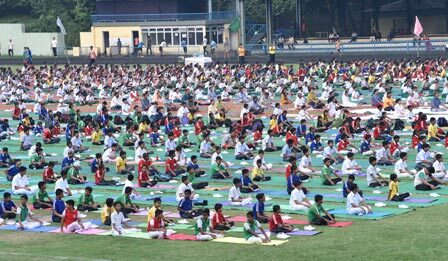 The Tinplate Company of India Limited (TCIL) in association with Jamshedpur Chapter of Satyanand Yoga Kendra organised a Yoga Session to mark International Yoga Day at Sumant Moolgaonkar Stadium. About 1500 health freaks took part in it. 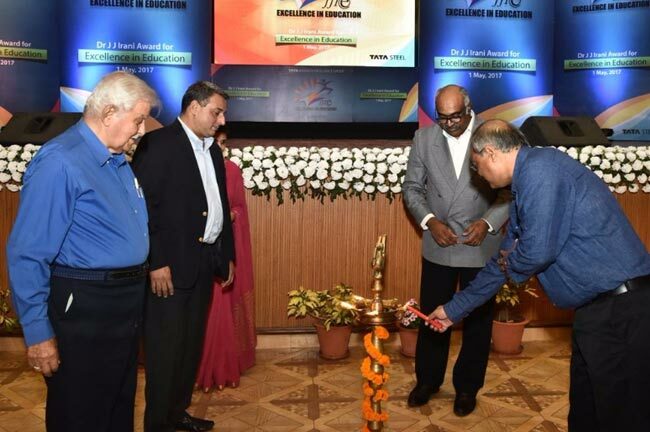 On the occasion, Mr Tarun Daga, Managing Director, TCIL, two former MD's of TCIL Mr BL Raina, Dr RN Sharma, officials of Tata Motors and students of Telco and Tinplate based government and private cradles took part in it. 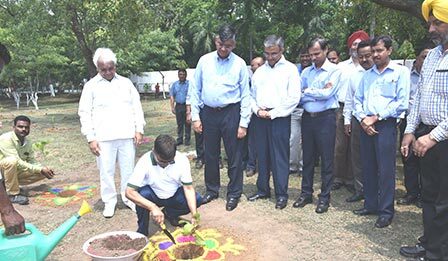 The Tinplate Company of India Limited (TCIL) dedicated a new Remedial Centre at Cable Basti on June 12, 2018. Mr Harjit Singh, Chief (HRM and SS) and Mr D K Singh, Gen. Secretary, GTWU jointly inaugurated the centre. 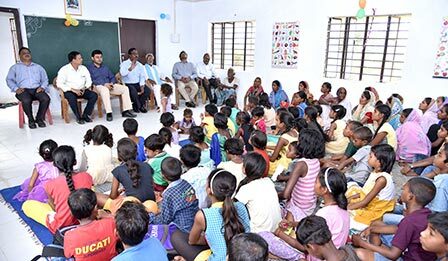 To curb the trend of school dropouts from underprivileged community, TCIL runs five Remedial Classes at nearby Bastis and villages with an objective to ensure zero dropouts by extending continuous support to weak students and helping them with right resources. TCIL celebrated World Environment Day on June 6, 2018. The theme of the celebration focused around the UNEP 2018 theme of #Beat Plastic Pollution. 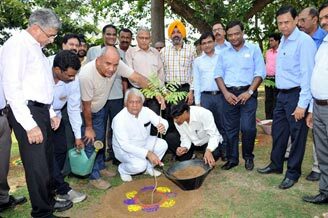 On the occasion, Mr Suresh Paswan, Regional Officer, Jharkhand State Pollution Control Board, Jamshedpur inaugurated a tree plantation drive. Mr Tarun Daga, Managing Director, TCIL, Mr R N Murthy, Executive Director, TCIL, and Mr Rakeshwar Pandey, President, GTWU actively participated in it. Mr Daga expressed his views on the role of individuals for preventing plastic pollution and how small steps can lead to a greater environmental good. TCIL also organised several other events to spread awareness in the society. 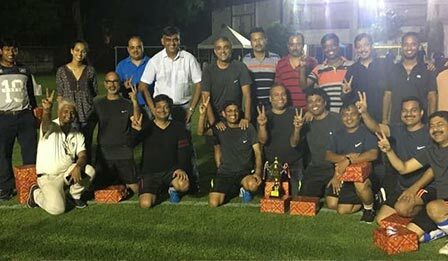 TCIL won the 3rd Tata Cup Football Tournament held on June 2, 2018 at Tata Football Academy ground. A total of 140 senior executives from 14 teams of TSL and its Group Companies participated in it. 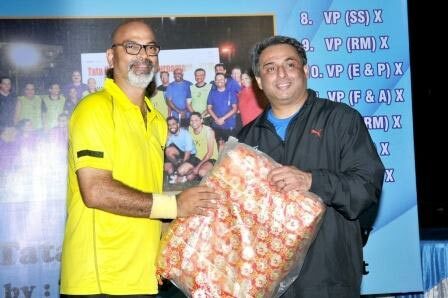 In the grand finale, MD Tinplate team defeated VP (SM) team thereby to win the tournament. 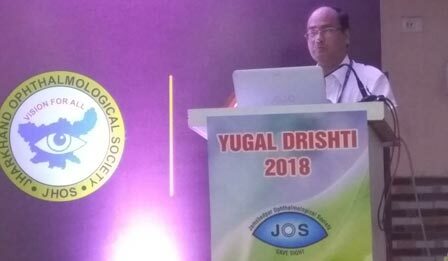 Dr S K Mitra of Tinplate Hospital participated in the Seventh Joint Mid-term Conference of Jharkhand and Bihar Ophthalmological Society held at Jamshedpur on May 27, 2018. More than 140 eye specialists from various parts of the country attended the conference along with several guest speaker. Dr Mitra presented a video assisted paper on 'Phaco Surgery at difficult situation' and also chaired a session on 'Advanced cataract surgery'. 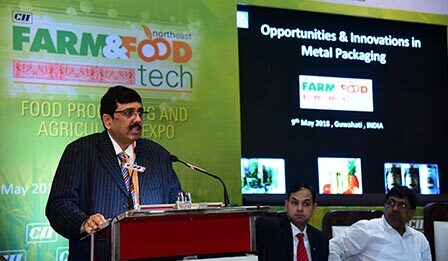 Mr Abesh Chatterjee, Chief (Services andSolutions), TCIL delivered a presentation on the opportunities and innovations in metal packaging at a conclave on Farm and Food Tech (Food Processing and Agriculture Expo), which was held at Guwahati on 9-11 May 2018. Mr Chatterjee also shared the new concept on possibilities of mobile canning in India. The event was organised under the aegis of Ministry of Food Processing Industries (Govt of India), APEDA and CII (Eastern Region) and was attended by key government officials related to the industries. TCIL also participated in the exhibition and a session on 'Making Food Processing a Successful Venture in North East: Ways and Means' was held in which eminent panelists from the Government and Industry were present. 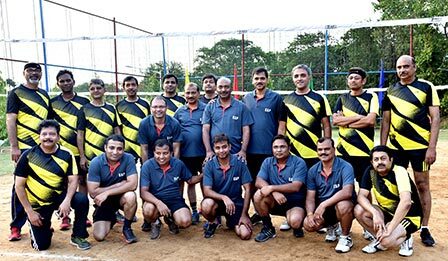 Senior executives of TCIL participated in the first Tata Cup Volleyball Tournament held on April 28, 2018 at Volleyball Court, JRD Tata Sports Complex. A total of 140 executives from 14 teams of TSL and its Group Companies participated in it. The recertification audits of ISO 9001: 2015 (QMS), 14001: 2015 (EMS) and OHSAS 18001 :2007 were conducted by British Standards Institution (BSI) auditors from April 16 to 20, 2018 and TCIL was recommended for continuation of IMS Certification. The Company was appreciated for efforts put in to improve the competency of people, robust analysis system, and reduction in customer complaint, as required by IMS standards. 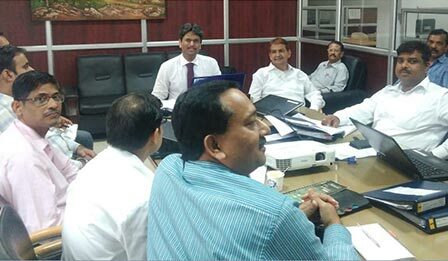 The Tata Affirmative Action Programme (TAAP) external assessment was administered in TCIL from April 3 till April 7, 2018. The assessment team comprised of Mr P. K Sahu, TSPDL, Kolkata, Mrs Jignyasa Kurlapkar, Rallis India, Mumbai and Mr Ravi Kujur, Tata Metaliks Ltd. It was heartening to note that TCIL has jumped the band from 501-525 to 526-550. TCIL's effort on donating safe blood, encouraging its employees to come forward generously was recognised by the Voluntary Blood Donor's Association (VBDA) at a function organised at Michael John Auditorium in Bistupur. The Chief Guest, Mrs Ruchi Narendran drew attention to the importance of voluntary blood donation and applauded employees for actively contributing to a bank of safe blood. TCIL was recognized for collecting 346 units of blood during five camps organised during 2017-18. The Company was recognised in the Institutional Category as 'Best Performer Company'. 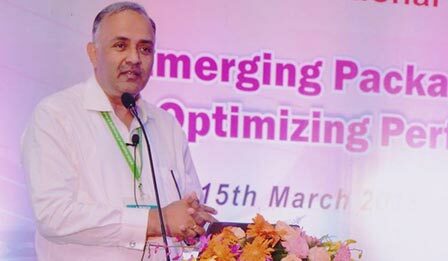 Mr Santosh Antony, VP, Marketing and Sales, TCIL shared insights on packaging technology at a National Conference organised by The Indian Institute of Packaging at Kolkata. The theme of the conference was "Emerging Packaging Technology-Optimising Performance and Cost". The Indian Institute of Packaging is an autonomous body in the field of Packaging and working under the administrative control of Ministry of Commerce and Industry, Government of India. The Institute was set up as a Society in 1966 with its Headquarters and Principal laboratories at Mumbai and its Branches are located in Kolkata, Delhi, Chennai, Hyderabad and Bangalore. 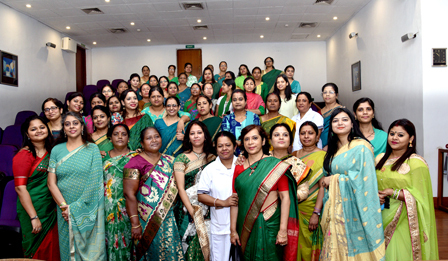 The Tinplate Company of India Limited (TCIL) celebrated International Women’s Day on March 8, 2018 by organising a series of events. 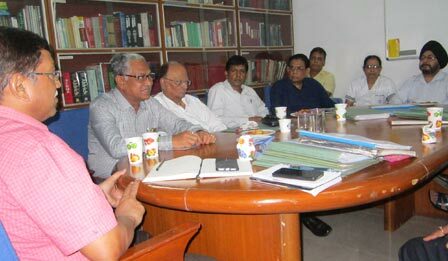 Through various events the theme of this year, ‘Press for Progress’ was discussed and talked about. The ladies actively participated in the events. At Jamshedpur, a function was organised to mark International Women’s Day. 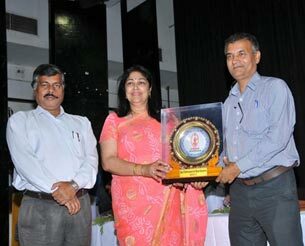 Mrs Varsha Daga, President, TLWA and Mr Rakeshwar Pandey, President, GTWU graced the occasion. 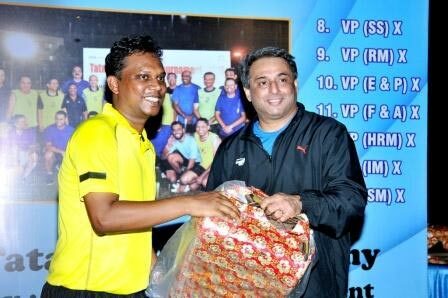 A series of events were organised in which the lady employees actively participated. TCIL along with the other Tata Group Companies joined hands to celebrate the 179th birth anniversary of its Founder, Jamsetji Nusserwanji Tata. The morning of March 3, 2018 saw an august gathering of people at the Founder’s statue near Works Main Gate of Tata Steel. 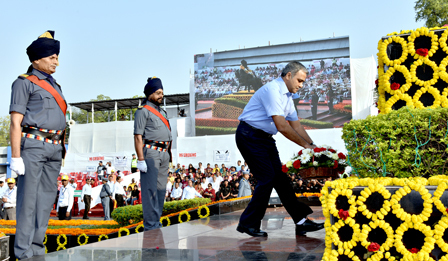 Mr Tarun Daga, Managing Director, TCIL, paid floral tributes to the Founder. 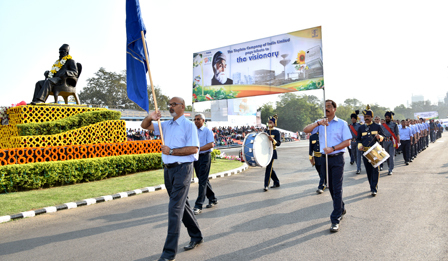 Company’s senior officials and employees also participated in the march-past. 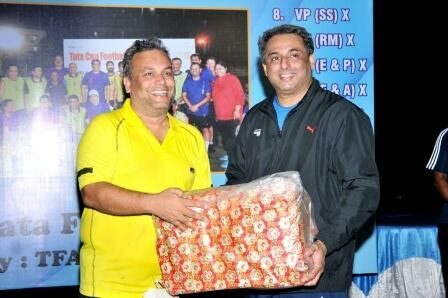 During the Founder’s Day, sports was organised for Tata Group companies at Gopal Maidan. 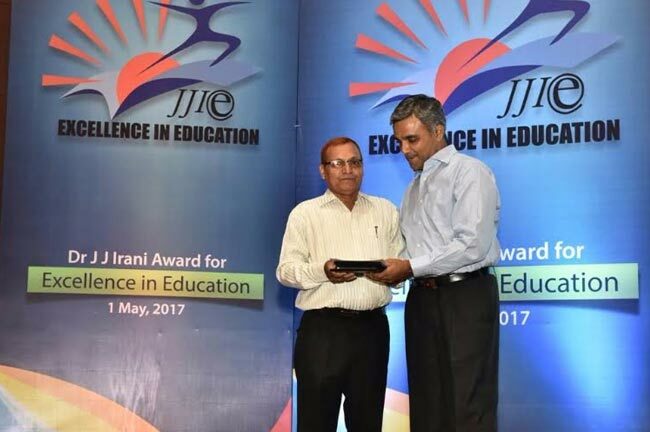 TCIL team participated in different events and won accolades. TCIL celebrated the 69th Republic Day with patriotic fervour on January 26, 2018 at the Tinplate Sports Complex. 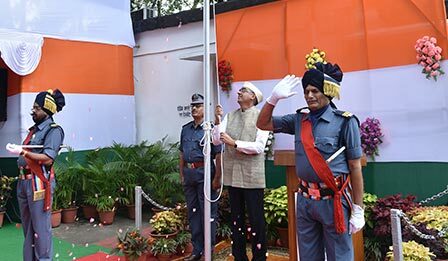 Mr Tarun Daga, Managing Director, TCIL, unfurled the tri-colour. He then extended his good wishes to the employees. On the occasion, the National Anthem was played followed by a ceremonial march past. School children also participated in a colourful pageantry. On the occasion, security personnel were felicitated for setting up best standards while performing their duty. Meanwhile, the Annual Garden, Flower and Vegetable Competition-2018 for the TCIL employees staying in TCIL township was held on January 19, 2018. 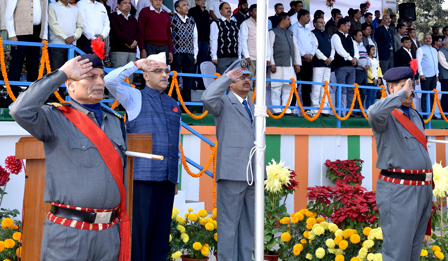 The winners were felicitated on the occasion of Republic Day. 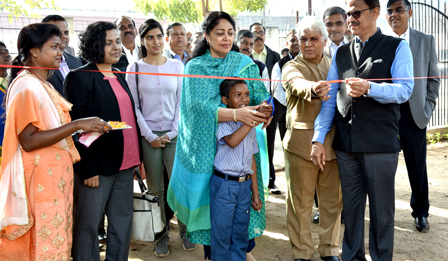 Ms Ruchi Narendran inaugurated a park for school children of residential camp school (Masti Ki Pathshala). The event was organised as a joint effort of Tata Steel and The Tinplate Company of India Limited. The camp school offers an eleven-month bridge course that mainstreams the children who have never been enrolled in any school. The park is well equipped with various types of swings for children. 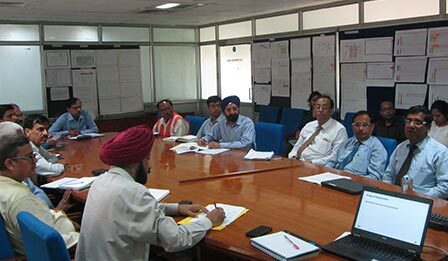 The Tinplate Company India Limited (TCIL) organised a session on June 23, 2017 with leaders of different educational, religious and social organisations located in the command area of the Company. Addressing the session, Mr Tarun Daga, Managing Director, TCIL, motivated the community leaders and said that they must work together for greater good of the society. 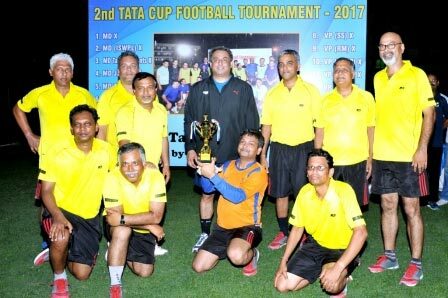 The Tinplate Company of India Limited (TCIL) won the runners’ up title in the 2nd Tata Cup Football Tournament held on June 3, 2017 at TFA ground. A total of 14 teams participated on knock out basis. TCIL reached the finals but lost. Mr Savio Rebello was awarded for highest goal scorer, Mr Sushant Kujur for fastest goal scorer and Mr Aatif Abrar Bakhsh for best defender. 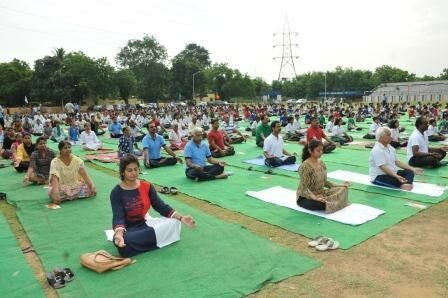 On the occasion of International Yoga Day a program titled ‘Yoga for All’ was organized at Tinplate Sports Complex on June 2, 2017. Dr R N Sharma, former MD, TCIL and Mr Rakshwar Pandey, President, GTWU inaugurated the programme. Organised in collaboration with Satyanand Yoga Kendra, Jamshedpur a total of 1300 students from 9 schools in Tinplate area and eight schools in Telco area participated in it. 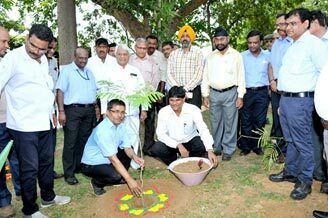 TCIL observed the World Environment Day with great vigour and vitality at its vicinity and its operational areas. A series of plantation drives were organised at GT Hostel at the Gulmohar Ground (Opposite Evening Club), Jamuna Road. On this occasion, Mr Suresh Paswan, Regional Officer, Jharkhand State Pollution Control Board (JSPCB), Jamshedpur inaugurated the drive. 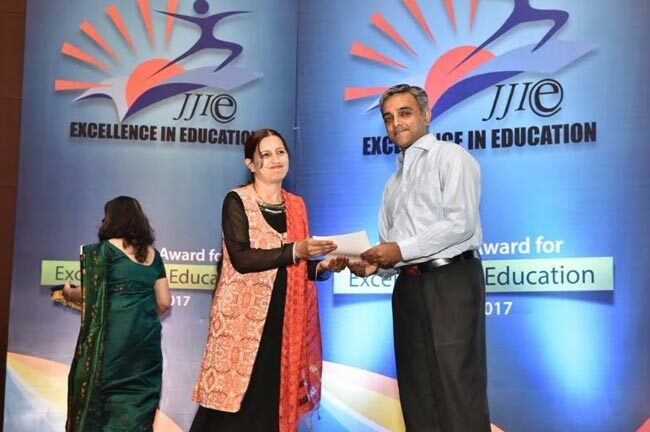 Tinplate Community Schools won accolades at the Tata Steel Education Excellence Programme (TEEP) held at Faisy Auditorium in Loyola School on May 1, 2017. Tinplate Community Schools were recognised for their good performance in TEEP assessment process. 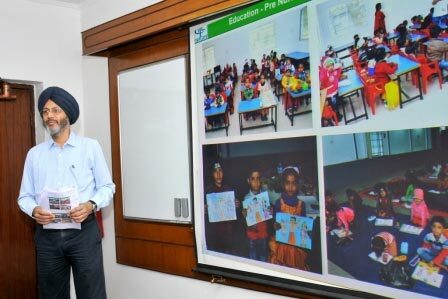 To raise the standard of education in the Tinplate Community Schools, TCIL, as part of its Corporate Social Responsibility pursued these schools to participate in TEEP assessment process conducted by Tata Business Excellence Group. 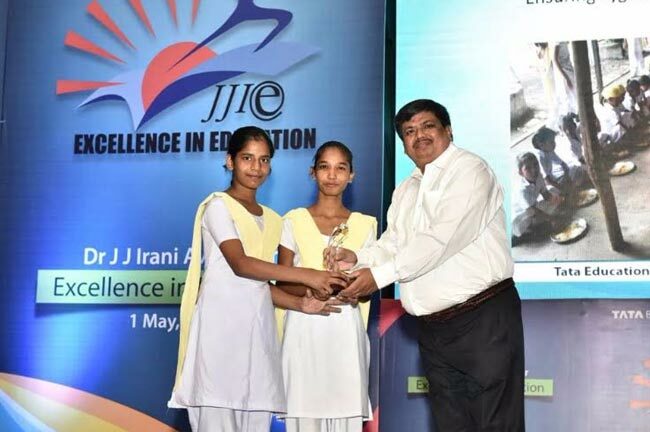 To encourage the schools, TCIL provided support to the participating schools. First year in 2015, seven schools applied for SARAL (First Level) and one of them Golmuri Utkal Samaj Middle School got elevated to BASIC (Second Level). In 2016, eight schools applied for SARAL and one of them, i.e., Vidya Jyoti Tinplate High School moved to BASIC. 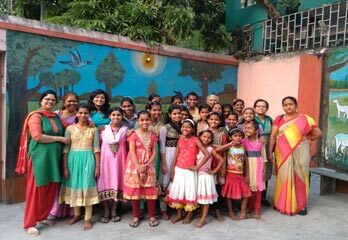 As part of the International Women’s Day celebrations, the ladies of TCIL Kolkata Office raised funds for the needy and visited Asha Deepti, a home for street and destitute girls in the Khiddepore area, Kolkata. The girls were provided with rations, stationery, food packets, fruits, toiletries etc. 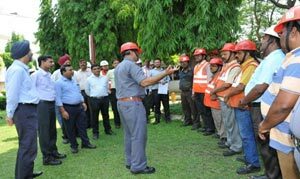 The Tinplate Company of India Limited (TCIL) observed National Fire Service Week from April 14 to 21, 2017 by organising a series of activities. At a function organised at the TCIL premises, Mr S Venkat Raman, DGM, Works addressed the employees. He appreciated the safety commitment of the employees towards the company and the community at large. 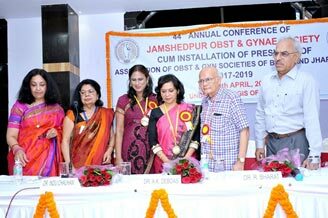 The 44th annual conference of the Jamshedpur Obstetrics and Gynaecological Society was organized on April 8 to 9, 2017 in Jamshedpur. 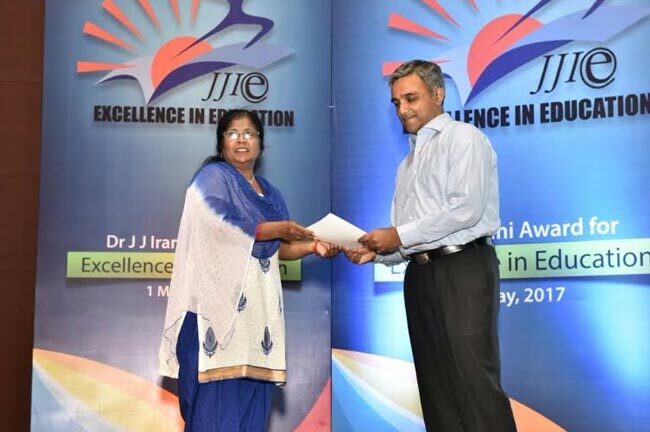 Dr Ranjana Joshi, Senior Gynaecologist, Tinplate Hospital, as the Secretary of the Society, organised the two-day Scientific Bonanza where in more than 110 delegates from various parts of eastern India participated. The theme of the conference was Sharpening the Skills. During the conference, the scientific sessions and the Workshops on Sudden Maternal Collapse, PPH, and management of Preterm babies immediately following delivery were organised. Experts from Tata Main Hospital (TMH), Tata Motors Hospital, MGM Medical College and Hospital, and private practitioners from Jamshedpur attended the conference. 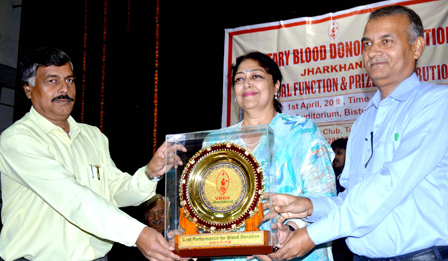 TCIL was awarded with Volunteer Blood Donors Award as mark of its contribution towards the cause of blood donation. The event was organised at Michael John Auditorium, Bistupur on April 1, 2017. 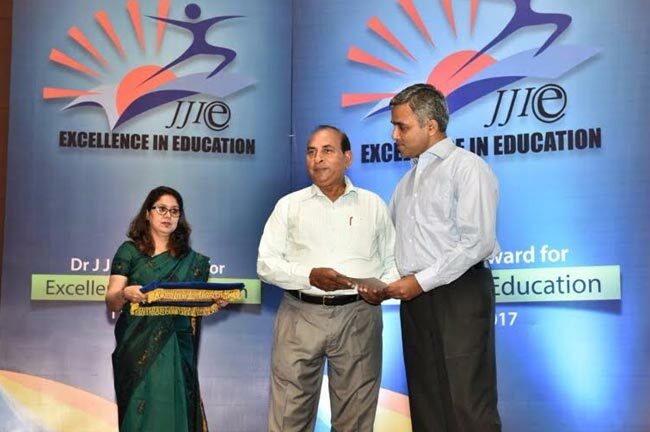 The Chief Guests, Mrs Ruchi Narendran and Mr Arjun Munda, Former Chief Minister, Jharkhand, handed over the award to Mr Dinesh Jha and Mr D K Singh, General Secretary, GTWU. TCIL had organised five camps and collected 378 units of blood. Mr DS Reddy was also felicitated for maximum number of blood donations.